So Special Stage 4 was produced in 1977 on 16mm film. It was my first independent production with full support of national Dutch rally champion 1974, Man Bergsteyn. 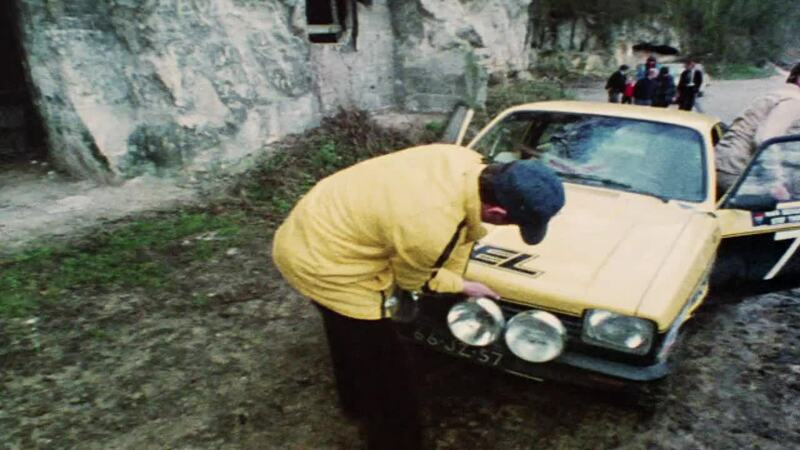 The car was the famous Opel Kadett 1.9 GTE, a very popular rally car at the time. Most people that saw the film thought it was a real rally stage, that was funny, since it wasn’t, it was all fiction. The story was composed of various reenacted moments Man Bergsteyn had experienced in his rally career so far. The movie came to the attention of General Motors Continental Netherlands (Opel Netherlands), they loved it. Together with Michelin Tyre's, they sponsored a theatrical release. It was shown in the shorts program before the feature film starts in many cinema’s in the Netherlands, during quite some time. It more or less started my career as a sports cameraman for Dutch National Television in film, video and multi video camera set ups.